We live in a world where technology is unavoidable. Some of us strive in that. Some of us see the convenience and efficiency and couldn't imagine it any other way. If that's you, we're tech-nerds who can help you get the most out of technology. If you're on the other end of the spectrum we're here for you. We regularly have customers say "I don't know anything about computers." That's fine. We can help you feel less left behind by the technology revolution. We believe in having the heart of a servant. 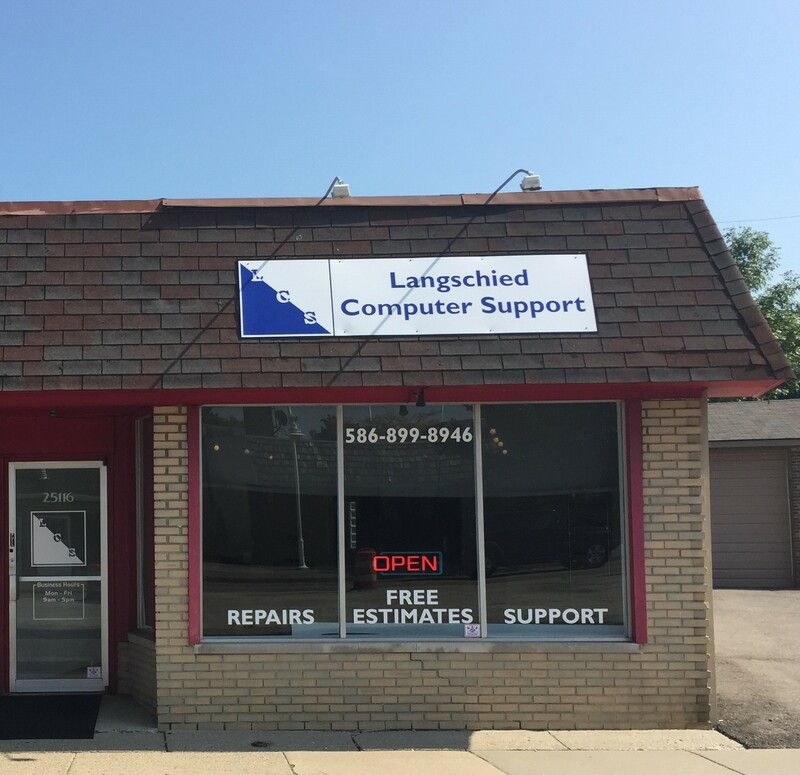 The owner, David Langschied has been a software engineer for over 25 years. He serves several mid-size business in the area, many of whom have other technical needs. So he has partnered with other IT professionals over the years to meet those needs. In 2012 Kevin Shipley became "The guy" in this roll, travelling between their metro-detroit clients and working out of a home-office. 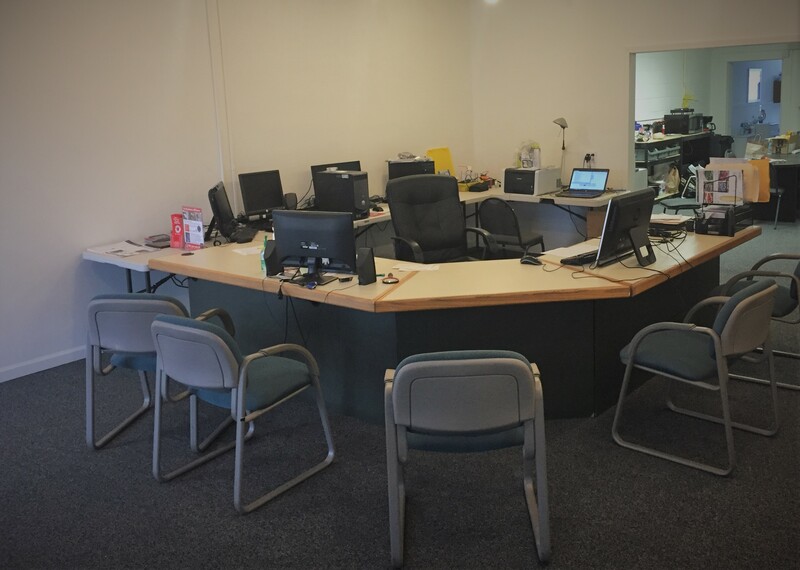 As David and Kevin grew out of their respective home-offices they began looking for some space to lease. In 2017 they found our current space at 10 & Jefferson in St. Clair Shores. And, as a bonus, it came with a store-front. With the added business from residential customers Kevin's son, Stanley Shipley, was brought on board. The average business size in the US is 3 employees and that is where we stand today. David Langschied is mainly a software engineer/consultant. His niche is shipping/receiving, inventory control, and production tracking software. Kevin spent 30 years as an independent contractor, dealing directly with customers. He knows a small business live or dies by it's customers. For the past 7 years he's been the tech-support face of the business. He knows his stuff and can explain things at a relatable level. Stan is the nerdiest member of the operation. His first computer came as a box of parts. His options where learn quick or miss out on AOL Instant Messenger. He's gamed from a Commodore 64 to modern Virtual Reality. Stop by and meet the techs. We'll be happy to answer any questions and even give you a free quote.